Actually when Ive reviewed those pctures its only Alan who has his head plugged in. There is a massive amount of irony about that since I spent most of Saturday getting him to understand how to use an iphone. Yep, that is 'Alan the Robert' in all those pictures. We've been busy installing frog juicers. We have most of the scenic side completed. We've used the gaugemast dcc80 autofrog. There has been some controversy around the use of these little gizmos. For us it works, no more dead frogs. Also we've been installing some signals. 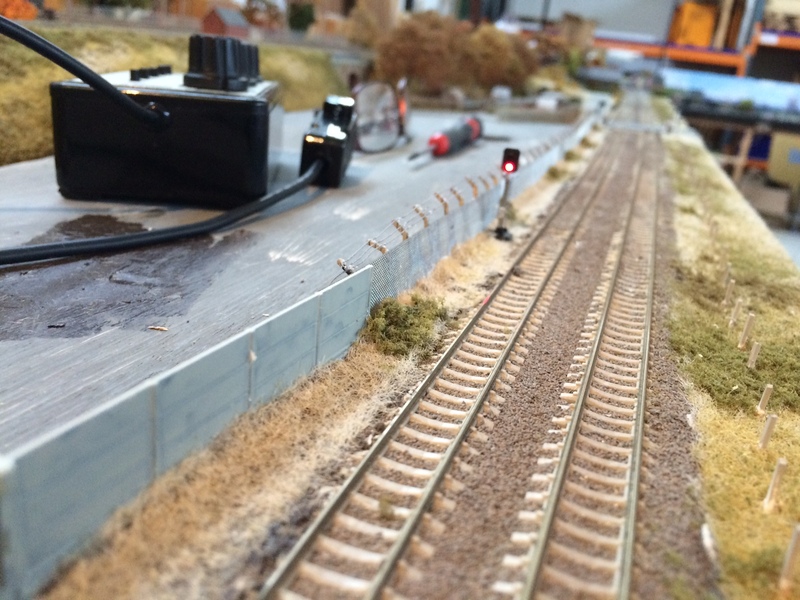 This shows one of the berko signals using a Merg sensor to control. 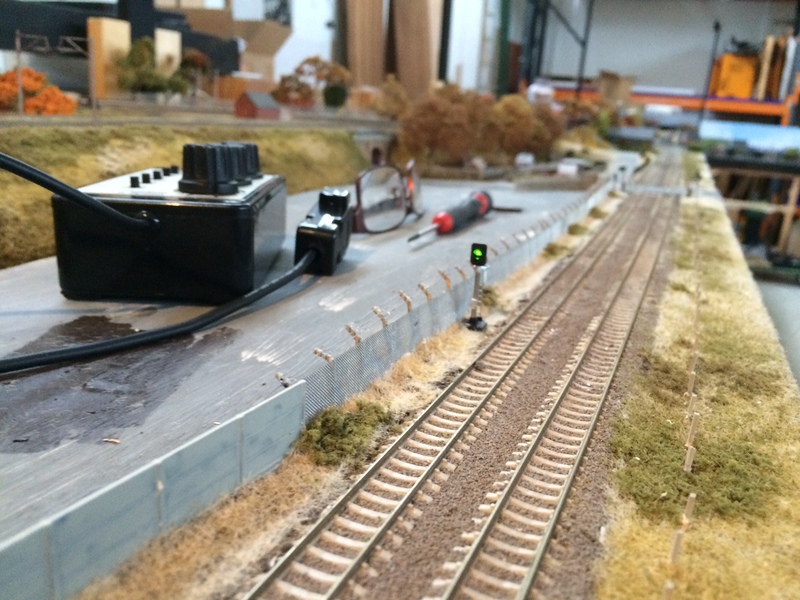 Train runs over light sensor and triggers green light. Train not over light sensor and signal is red. Works quite well. the sensor - one sleeper removed. I've lost me cars. I had two curry boxes with cars vans, buses and lorries. I've lost them. Pretty sure I took them to the club and they've disappeared. So the next time we exhibit, we will be short of cars and vans. Talking of which, our next exhibition outing is fairly local to us, at Spennymoor on Oct 29th and 30th. I've already posted this video and a couple of others in the TEA thread. However I'm posting it again just to point out the working colour light signal. 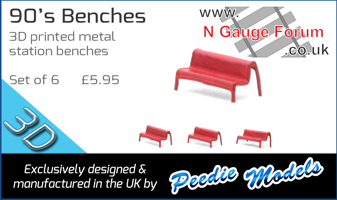 Automated with a merg pocket money kit. Just to say I've now found the cars. However I have received some freebie cars from @GScaleBruce . I really like those working colour light signals, Kirky. I'm tempted to add a couple to Cant Cove, later, as there are no LSWR or SR semaphore signals available, at present. (After all the WR, when it took over Salisbury-Exeter from the SR, fitted colour light signals . . . ). Thanks Chris. The one in the video is a berko one. It's nice, it works, but the ones we've been planting yesterday are the CR Signals ones. They are superb. I really wish I'd just used the CR ones because they are truly magnificent pieces of kit. And on top that we had a couple specially made as Northallerton is signalled 'wrong line' through the station. One of the those is a ground signal mounted on a post - odd but interesting. I'll try and get some pictures done. Are you a member of Merg Chris? We've used pocket money kits for the sensors from merg. They cost a couple of quid for the kit, but obviously you have to build it yourself. And membership is reasonable I think at about £16 a year. And cheapish for you at the moment with the weakness of Stirling? We've also bought some signal drivers for the more complicated four aspect signals which use SMD components. Very tiny little components they are too. Magnification a necessity. These cost about three pounds I think. I tried to build a CR signal kit once. It was a long time ago and I should try again at some point. Very fine wire needed I recall. When it came to doing Northallerton it was going to be more time efficient to buy them ready made. The kits certainly are very small! Soldering SMDs concerns me! I think I'll try and post some pictures. The one I am doing currently is my first. It's not actually so bad. And at three quid for the kit, I think it's worth the money purely as a learning experience. I watched a few YouTube vids first and set too. Solder paste is my choice of weapon for this particular battle. 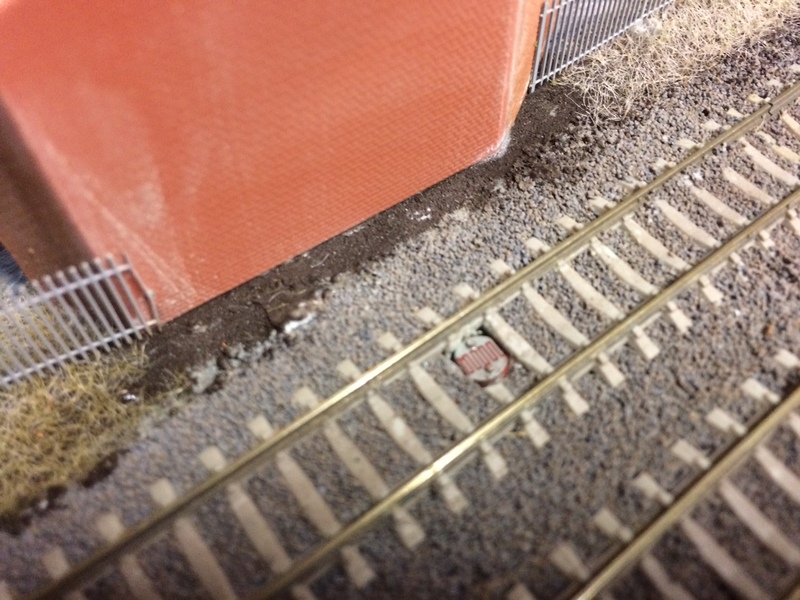 We have been setting up the layout for the exhibition this weekend at Spennymoor, and here's hoping some forum members can make. 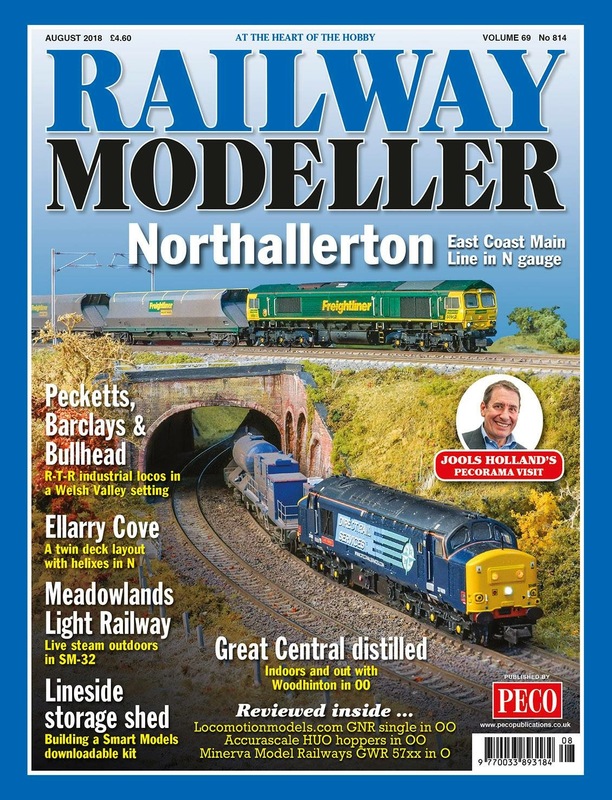 Sadly, Northallerton is the only N gauge layout. However, if you can't make it, and you can bothered with Facebook, we are intending to have a live feed on our Facebook page. Fingers crossed. 10 till 4 GMT ON Sunday. Good luck for the show, Kirky. I'm sure you'll get plenty of interest. Seconded. I'll look out for the video on Facebook. Kirky, you know I will be coming, and because you are there. You were kind to me when others appeared to be rejecting my project. So that's it. When I sent a message offering to loan you some rare models, I didn't know about this, and was surprised when you sent back a message that that was the second offer that week. I might still bring along the bag of models I brought to York though, just to show you. Since you are modern image modeller, and modern cars are notoriously hard to come by, I look forward to seeing your collection of cars, including the donated ones.